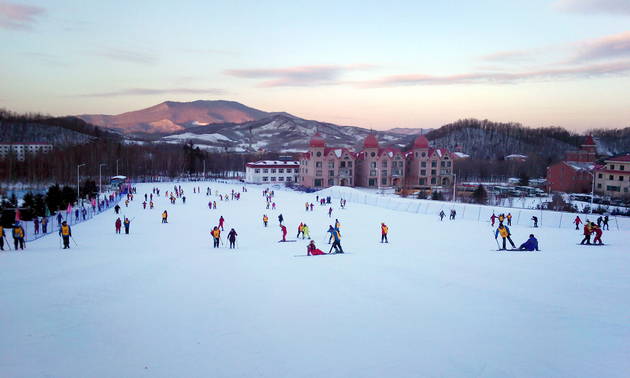 Feb. 12 (NBD) – A Norovirus outbreak hit the Club Med Yabuli resort in Harbin, capital of Heilongjiang Province in northeast China. According to a statement posted Monday on Club Med's official Weibo account, out of the 42 tourists with symptoms including diarrhea and vomiting that have been registered at the Harbin Center for Disease Control and Prevention, 8 have been tested positive for norovirus, a common cause of serious gastroenteritis. No one was kept in hospital for treatment, the statement noted. Earlier on the same day, a Weibo user exposed online that starting from February 4, tourists at the Club Med Yabuli resort successively suffered suspected food poisoning symptoms, including diarrhea, stomachache, vomiting and fever. As of late Monday, according to the statistics collected by tourists, more than 110 people have exhibited those symptoms. After the exposure, Club Med announced on late Monday that the resort reported the incident to the local food and drug administration at the first opportunity and simultaneously initiated self-testing mechanism. The company has yet to clarify the cause of the virus outburst but declared the resort takes measures far above national standards for sanitation during the norovirus season. A person at Club Med's public relation division in greater China area said to NBD that the outburst of norovirus has nothing to do with the food provided by the resort since their doctors and employees even contracted the virus in consecutive days. But tourists doubted the remarks, saying the company just wants to pass the buck. The hotel has inescapable responsibility over the issue, a tourist with above mentioned symptoms added. Currently the Club Med Yabuli resort has been cooperating with local health authority to investigate the source of the virus. It suspended guest reception due to safety concerns from Tuesday to Friday and promised to financially compensate all tourists affected by the incident. As a high-end holiday resort brand, Club Med's services are at an extremely expensive price. An all-inclusive four-night set for two adults and one child is sold at as high as 17,732 yuan (2,616.7 U.S. dollars). It will cost an adult 2,000 yuan (295.1 U.S. dollars) on average per day if not choosing a vacation set. The resort brand was acquired by Chinese conglomerate Fosun International and became the latter's major income earner with a remarkable contribution to its total revenue from 2015 to the first half of 2018, according to Fosun's prospectus.